Welcome to Curvy Pants Month! You are here: Home / Theme Months / Curvy Pants Month / Welcome to Curvy Pants Month! 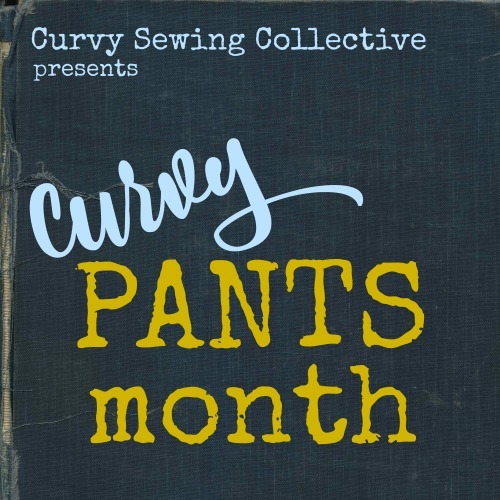 It’s February, which means it’s Curvy Pants Month on the Curvy Sewing Collective! Are you planning to sew a pair of pants during Curvy Pants Month? 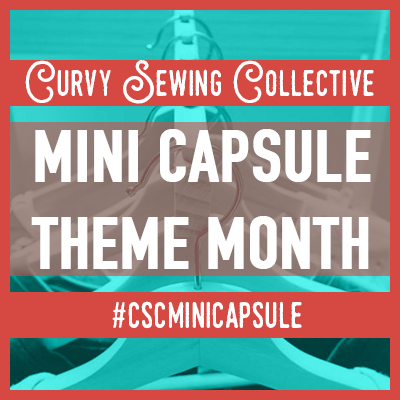 Share your project with the CSC community in our Facebook Group, on Instagam using the hashtag #CurvyPantsMonth, or in the CSC Flickr group! Let us know what you’re working on in the comments, too! It fits in well with the theme this month. 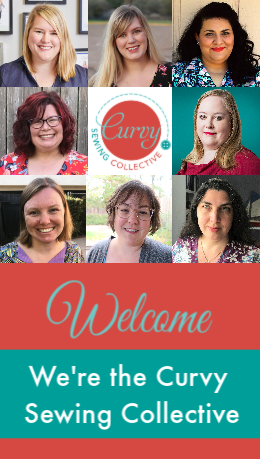 Looking forward to this – I’m working on some Ginger jeans at the moment, so fitting advice and tips for sewing jeans would be absolutely brilliant. Sounds great! Can’t wait to see! I’m looking forward to seeing the results, sounds great! I just bought the Lena pant from Designer Stitch. I haven’t made it yet, but I think it might be the silhouette that you are looking for. I have that pattern, too, but haven’t tried it out yet! So excited! If I can get it together, I’ll be making a pair of Pauline Alice Port trousers. Have done a muslin and altered the flat pattern (and graded it up), so ready to cut and sew. I want to make a dressy Indian style tunic and pants outfit – you know, the long tunic with side slits, and then kind of skinny ankle pants? I can’t find a pattern that works for these, so if anyone knows of one…? I have my own TNT dress sloper that I can adapt for the tunic, but can’t figure out what to do for the pants. Do an internet search for Salwar Kameez Rebecca, you will find lots of info and you tube videos. Hi! There are many different styles of salwar trousers/pants. If you mean the ones which fit tightly up the leg , those are known as churidar. The legs are cut on the bias of the fabric to permit some stretch. If you mean really, really full, pleated ones which are gathered in tightly at the ankle, those are known as patiala. There is an Indian website I use which has many diagrams for drawing your own patterns for Salwar of different types, sari blouses etc, called sewguide.com. I have long been slightly suspicious of it, but haven’t run into any problems – just be careful where you click! Thank you – this was just the info I have been looking for!